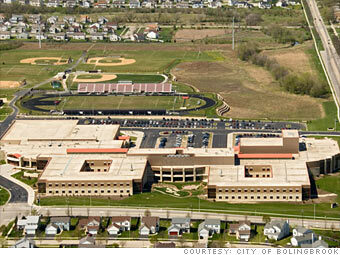 Not too many places near Chicago can go by "village" anymore, but Bolingbrook claims the title proudly. It's a relatively new suburb of Chicago, having been incorporated only in 1965. Since then, growth has exploded � so much so that IKEA brought its second Illinois location here three years ago. An open-air mall, The Promenade Bolingbrook, also opened here last year. What's more, Clow International Airport, owned by the village for public use, is slated for expansion. Especially in a tough economy, plentiful job opportunities are key to being a great place to live. These 25 counties have experienced the most job growth over the last seven years.